Attending one march isn’t enough. Continuous involvement in politics can effect enormous change — but it has to be continuous. One of the criticisms levied against the nationwide Women’s March on January 21 was that the whole thing was spectacle — that short-lived flares of social activism don’t really make a difference. But what I felt that day in Chicago was undeniable. An estimated 250,000 women and their allies turned out for the march, and I was swept up by a choir of thousands of voices ringing out through the Loop. You need look no further than the civil rights and Tea Party movements to see that continuous political engagement can effect enormous change — but it has to be continuous. Unfortunately, most American citizens in my millennial generation have had little need thus far to lead politically meaningful lives. Today, only a quarter of those under 25 vote in presidential elections; even fewer vote in congressional elections. Why has our political engagement atrophied? Partly, it’s because we haven’t felt any stirring to exercise it. Our generation often cares about specific issues but doesn’t invest in the workings of party politics; many feel they have little sway over election results. 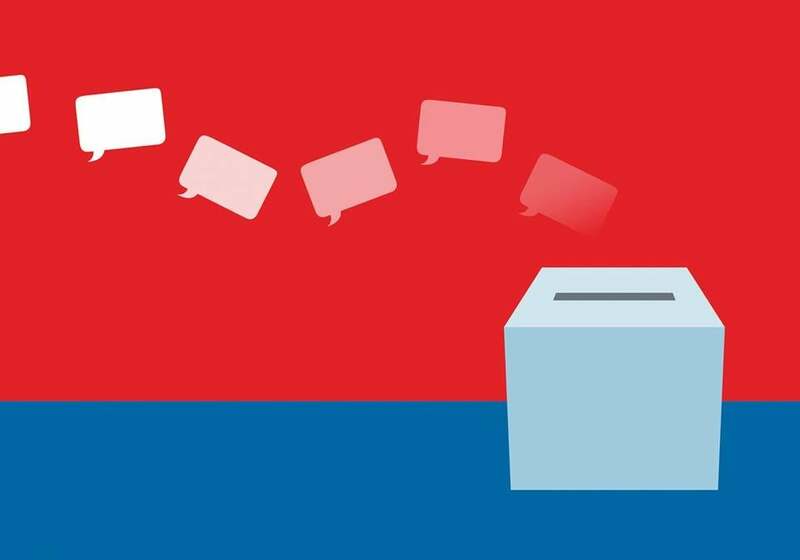 Only a third of millennials feel they have a “legitimate voice” in the political process, according to a November poll from Tisch College’s Center for Information and Research on Civic Learning and Engagement. Without a motivation to participate, we’ve sublimated politics into yet another form of entertainment. We share YouTube clips instead of reading deeply. We “frown-face” vehemently on social media instead of writing thoroughly and from exhaustive perspectives. The people we elevate to the cultural vanguard are no longer intellectuals, critics, or artistic visionaries, but those who keep us entertained — what did Kim Kardashian just post? But that doesn’t mean we can’t change that culture. Look at what young people do in other societies when the stakes are high. In 2011, for example, Tunisian students and young people embarked on a series of protests against corrupt president Zine el-Abidine Ben Ali that led to democratic elections and a relatively peaceful transfer of power. Simultaneously, the dominant culture began to shift — artists, writers, and intellectuals again became relevant to the conversation. But while the culture of unengagement persists in the United States, it will continue to shape how politics is represented through its warped lens. Instead of the potential to push society toward the good, our entertainment politics is one we can no longer personally, morally, or practically identify with. So we relegate it to the margins of our life; it only retakes a central place during moments of drama, and our political participation threatens to remain reactionary and transitory. At the end of the day, it’s easy to wash our hands clean of it. Real political engagement comes from a more steadfast and humane place, where spectacle is displaced by an earnest persistence. In late January, I was one of thousands who gathered in Copley Square to attend the Boston protest against Donald Trump’s initial immigration ban. There, I met Altaf Saadi, an Iranian-born, ethnically Iraqi doctor who is also a chief resident in neurology at Mass. General Hospital. She had brought along many of her fellow residents, some of whom spoke of friends and colleagues whose immigration status was already under threat. What struck me most was that there wasn’t any anger in her voice; standing in the square with her husband, she spoke to me quietly and with kindness. “It’s so heartwarming to see such an outpouring of support,” she told me. I don’t think we are on the brink of needing martyrs. But answering Vargas Llosa’s challenge means that we have to return politics to a place where we think, read, and write deeply and where we speak to our allies and opponents with compassion. Then we can find a way to make our part in the political process something regular, like getting groceries every Sunday. That’s what makes political engagement something sustainable and real. We can’t wait for threat — as we’ve seen over recent weeks — to remind ourselves of civic obligation. The sparks of this awakening were already glowing around me in Boston on that Sunday afternoon. I knew there were many others like Saadi, for whom this protest was only a first step. As Copley grew cold, and day moved into night, people lingered long, talking about what was in their hearts. No one was at all ready to go home. ■ Medicine has a long history of failing black people. Let’s change that. ■ Doctors like me tell you to eat less meat. It’s about time you start listening. ■ How did the opioid epidemic get so bad? ■ Can we please stop pretending marijuana is harmless? Dr. Sushrut Jangi is a gastroenterology fellow and instructor in medicine at Brigham and Women’s Hospital. Send comments to magazine@globe.com. Follow us on Twitter at @BostonGlobeMag.